Prof Dino Distefano was a founder and the Chief Science Officer of Monoidics. Monoidics was founded In 2009 with the goal of making the best automatic formal verification and analysis software in the industry. They progressed from theoretical ideas in logics of programs all the way to a company with a world-class engineering team, real customers and an office right in the midst of London’s Silicon Roundabout. 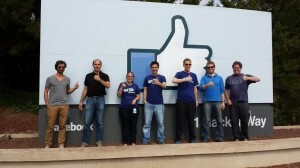 Last summer, Monoidics’ engineers and tech staff joined Facebook’s London office. Facebook is now applying the Monoidics automatic formal verification and analysis software to its mobile development process in order to reduce the risk of pushing out apps which may contain bugs. Monoidics’ Infer Static Analyzer helps developers deliver bug-free code with a focus on memory safety and security. It turns bug detection into a fast and scalable mathematical algorithm, generating a correctness proof that guarantees software has no incorrect usage of memory operations. Monoidics clients included ARM semiconductor, Airbus and Mitsubishi Electric.